FOOTBALL: The Coffs Coast Tigers have won the first instalment of the battle of the big cats in 2019, taking down the Westlawn Tigers in a high-scoring affair. A double to Jacob Vidler as well as goals to Innocent David, Luke Kliendienst and Thomas Mitchell secured the Tigers a 5-2 win. "It's definitely a big boost for the boys, we played really well and we probably could have scored a few more goals... we had the ball for 62 minutes out of the 90,” Coffs coach Fel Berrera said. "But we're starting to be more patient in possession which is good to see. 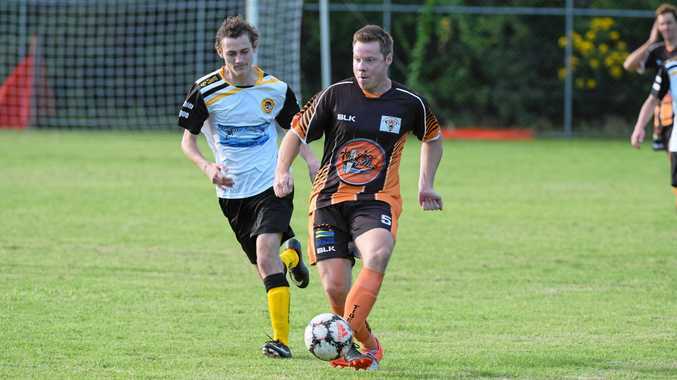 Elsewhere, the Boambee Bombers edged Coffs City United Lions in a seven-goal thriller. The 4-3 win moves the Bombers level on points with the Lions with a game in hand. Meanwhile, the Northern Storm cemented themselves in third place with a 2-1 over the Woolgoolga Wolves.